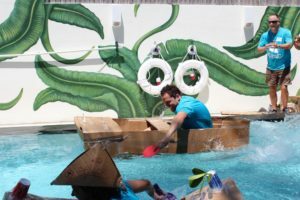 Who would have thought building a boat out of cardboard would not only work, but also be such a fun experience! 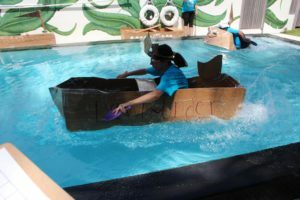 Employees were placed in random teams based on their strengths and weaknesses, given a limited number of supplies, and asked to build one cardboard boat per group – before a specific time. 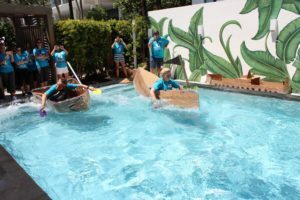 Two teams at a time then raced each-other for the big win! 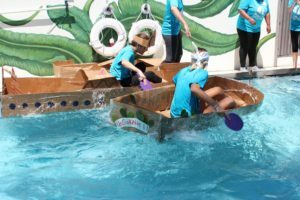 Congratulations to all the teams on their fierce boat-making skills. 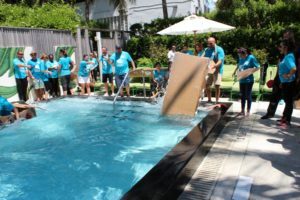 A big thank you to everyone that participated in making this event possible!